Sonat in E-Flat Major, Op. 64 (after the Trio, Op. 3); Twelve Variations on a Theme see, the Conqu’ring Hero Comes from Handel’s Judas Maccabaeus, WoO. 45; Sonata in F Major, Op. 5, No. 1; Sonata in G Minor, Op. 5, No. 2; Twelve Varations on the Theme Ein madchen oder Weibchen from Mozart’s Die Zauberflote, Op. 66; Sonata in F Major, Op. 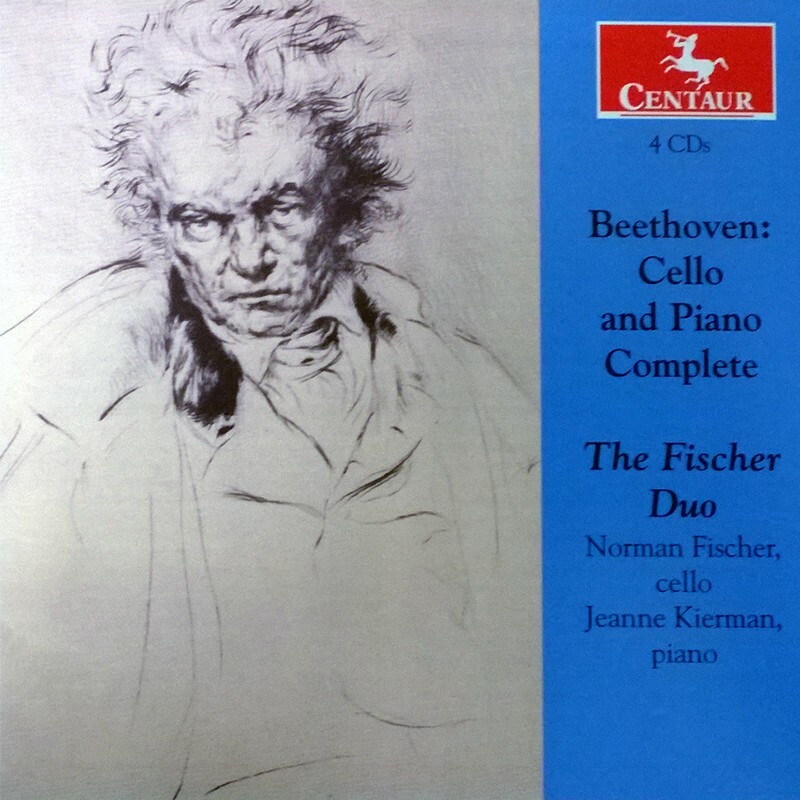 17 (after the Horn Sonata); Seven Variations on the Theme Bei Mannern welche Liebe fuhlen from Mozart’s Die Zauberflote, WoO. 46; Sonata in A Major, Op. 69; Sonata in C Major, Op. 102, No. 1; Sonata in D Major, Op. 102, No. 2; Sonata in A Major, Op. 69: Allegro ma non tanto, firsrt movement from earlier composing score; Sonata in A Major, Op. 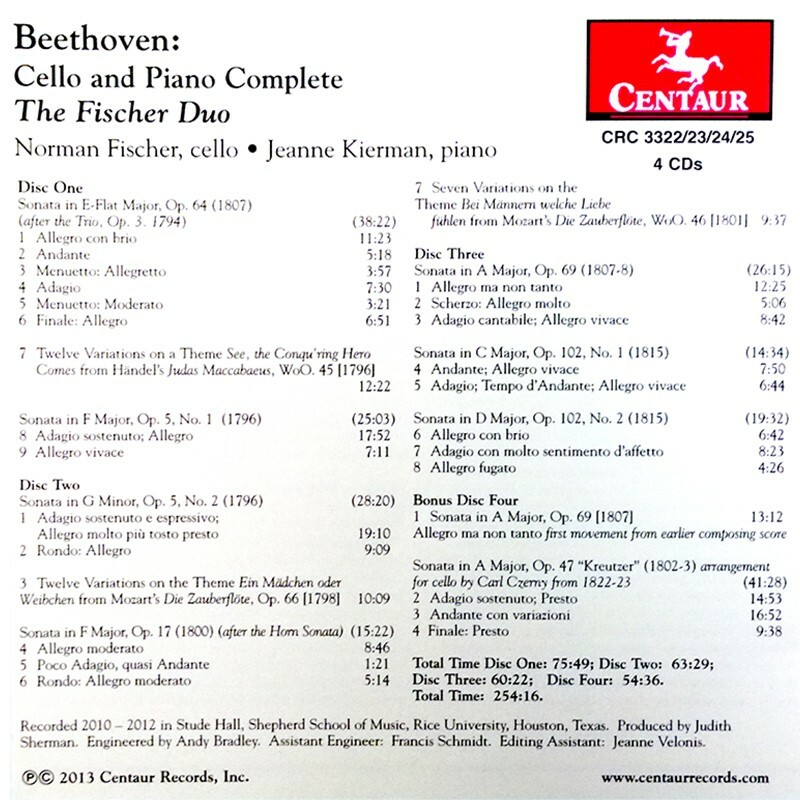 47 “Kreutzer” arrangement for cello by Carl Czerny from 1822-23; The Fischer Duo: Norman Fischer, cello; Jeanne Kierman, piano.